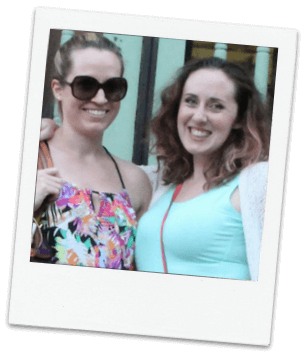 Inside: The ultimate list of slime supplies – everything you need to make tons of different slime recipes. 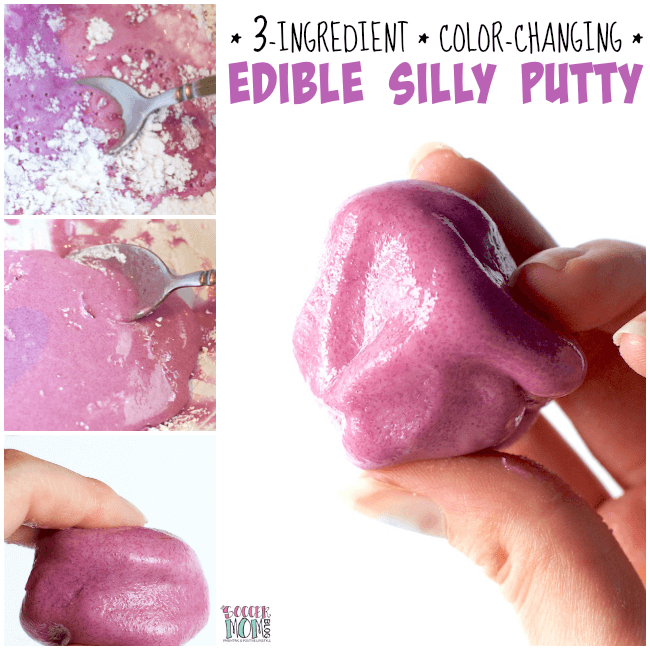 From classic glue slime to edible Jello slime, if you love slime then we’ve got you covered! This is our master list of slime supplies needed to make a huge variety of slimes! 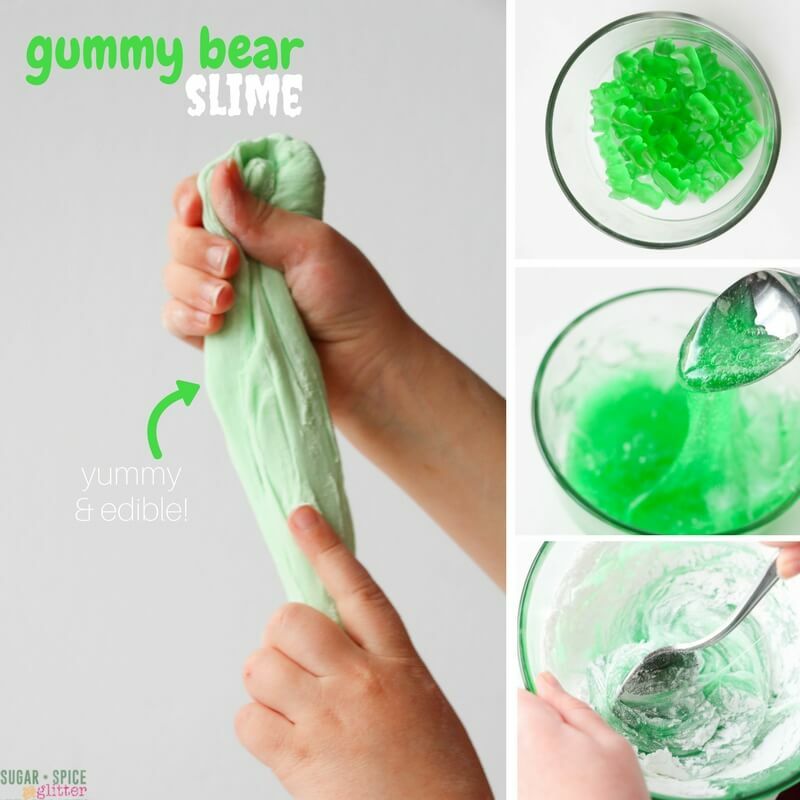 Find everything you need to make dozens of different slime recipes, including all of those listed in The Slime Book! Affiliate links are provided for your convenience in locating the slime supplies used in our recipes; disclosure policy available here. 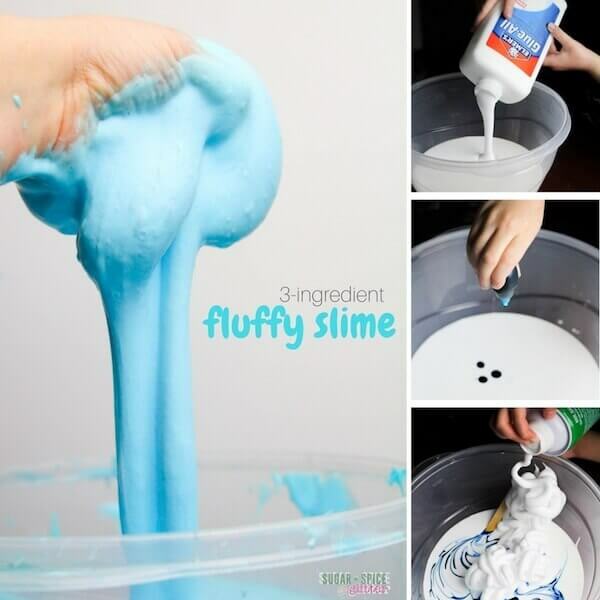 For Fluffy Slime — Shaving cream is one option for making fluffy slime, but be sure to get one that is gentle on hands. Alternatively, diaper crystals makes for great fluffy slime! For Stretchy Slime — Hand lotion makes for a stretchier slime, while modeling clay makes for a less messy and tougher stretchy slime. For Sparkly Slime — A good-quality glitter glue is a fun way to add a bit of glamour to a traditional slime recipe – but skip the dollar store versions as they don’t work nearly as well. 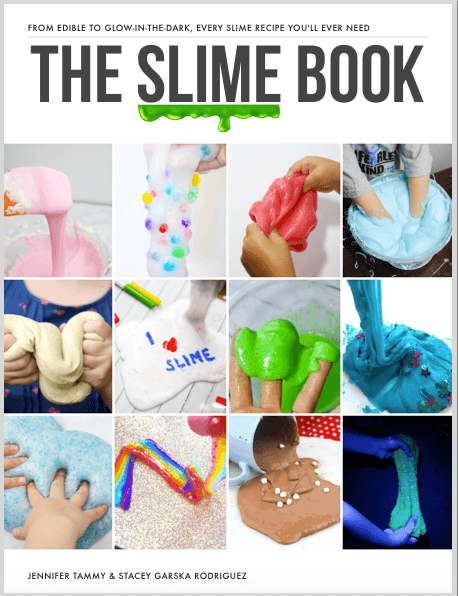 The Slime Book contains almost 50 pages of oozy, stretchy fun! Grab your copy today!